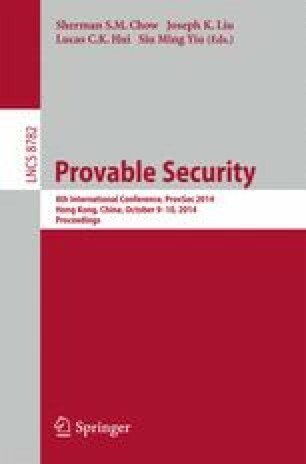 We show that for certain class of unconditionally secure protocols and target functionalities, static security implies adaptive security in the UC model. Similar results were previously only known for models with weaker security and/or composition guarantees. The result is, for instance, applicable to a wide range of protocols based on secret sharing. It “explains” why an often used proof technique for such protocols works, namely where the simulator runs in its head a copy of the honest players using dummy inputs and generates a protocol execution by letting the dummy players interact with the adversary. When a new player P i is corrupted, the simulator adjusts the state of its dummy copy of P i to be consistent with the real inputs and outputs of P i and gives the state to the adversary. Our result gives a characterization of the cases where this idea will work to prove adaptive security. As a special case, we use our framework to give the first proof of adaptive security of the seminal BGW protocol in the UC framework. Supported by European Research Council Starting Grant 279447. Supported by Danish Council for Independent Research via DFF Starting Grant 10-081612. Supported by the Danish National Research Foundation and The National Science Foundation of China (under the grant 61061130540) for the Sino-Danish Center for the Theory of Interactive Computation, and also by the CFEM research centre (supported by the Danish Strategic Research Council) within which part of this work was performed.